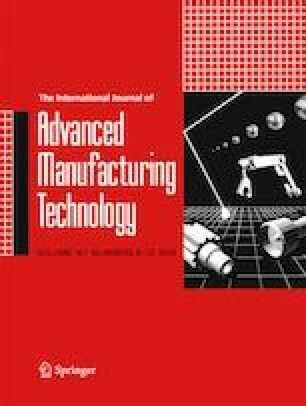 In this paper we aim to solve the problems of laser cladding remanufacturing of damaged complex components. First, a model of a workpiece to be repaired was pre-sliced finely by using the minimum layer thickness. On this basis, an algorithm for calculating step width was proposed. When a workpiece side angle meets |a − 180∣ not more than 40°, the distance from the projection point to the left or right lines of the closest contour point is calculated, and the distance closest to that of the previous contour point as the step width of the current point is noted. When a workpiece side angle meets |a − 180∣ more than 40°, the corner feature of the contour point is obvious, and the distance from the projection point to the corresponding point is taken directly as the step width of the current point. After which, the slices with the minimum layer thickness are merged layer by layer, according to the maximum step width required by the process and the maximum acceptable layer thickness. Finally, the algorithm was verified by using a laser repair example. The method of calculating the step width accurately reflected variations of the curvatures between adjacent layers, or the whole contour profile. Also, the adaptive slicing algorithm balanced the build time and repair qualities, further, which addressed the loss of curvature mutation in conventional stepwise uniform refinement and improved the slicing efficiency. Financial funding was provided by National Defense Basic Scientific Research Program of China (A0720132003) and National Natural Science Foundation of China (Grant Nos. 51775338 and 51875354).